Biography: Dr. Baohui Han is a Professor of Respiratory medicine, Shanghai Chest Hospital; Vice-president of Shanghai Chest Hospital; Chief of Pulmonary Dept. of Shanghai Chest Hospital; Shanghai City Leading Talent; the State Council special allowance experts; Chief of Clinic trails centre of Shanghai Chest hospital, Shanghai, China. In 1991, Dr. Han received M.D from Zhongshan hospital, Shanghai Medical University, then he gained his PhD from Shanghai Medical University Shanghai, China in 1994. Dr. Han received new technical training in the diagnosis and treatment of lung cancer in MD. Anderson Hospital, Cancer Center in the United States. 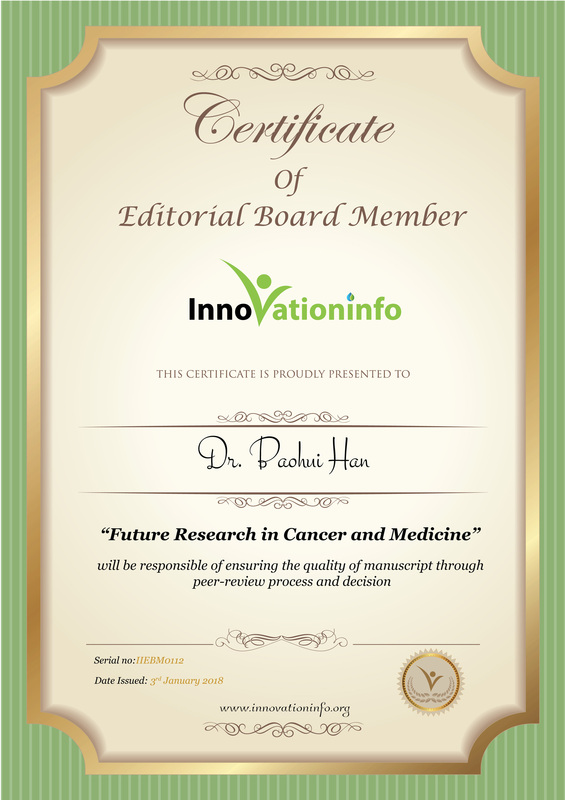 Han specializes in lung cancer biological immune targeted therapy and clinical study of new antitumor drugs. He participated in the international multi-center subject of the IPASS, the EAP, INTEREST, INFORM, S012, MOK-806, CCTC and other dozens of clinical trials, the quantity and quality of its enrolled among the domestic frontier evaluation results in a recent survey of the most influential international multi-center the IPASS clinical research, enrolled patients were number one in China, fourth in the world. He has published more than 200 reviewed papers on lung cancer, and he is the editor of ‘tumor biological immune target therapy’ ‘ultrasound bronchoscopy’ ‘anti-tumor angiogenesis therapy ‘etc., edited over 10 monographs. He is a committee member of numerous associations and societies including executive member of CSCO, the chairman of Chinese medical biological immunology society tumor branch, vice president of Shanghai Cancer Society, vice chairman of Shanghai Medical Association of tumor target molecule.